Charles S Kahn Metallic Blue Lucite Handbag. Circa 1950s. Miami based designer in the early 1950s, fashioned lucite handbags with soft metallic colors and clear lucite with rhinestones. Parallelogram in shape, the sides are soft powder blue with a satin metallic finish. 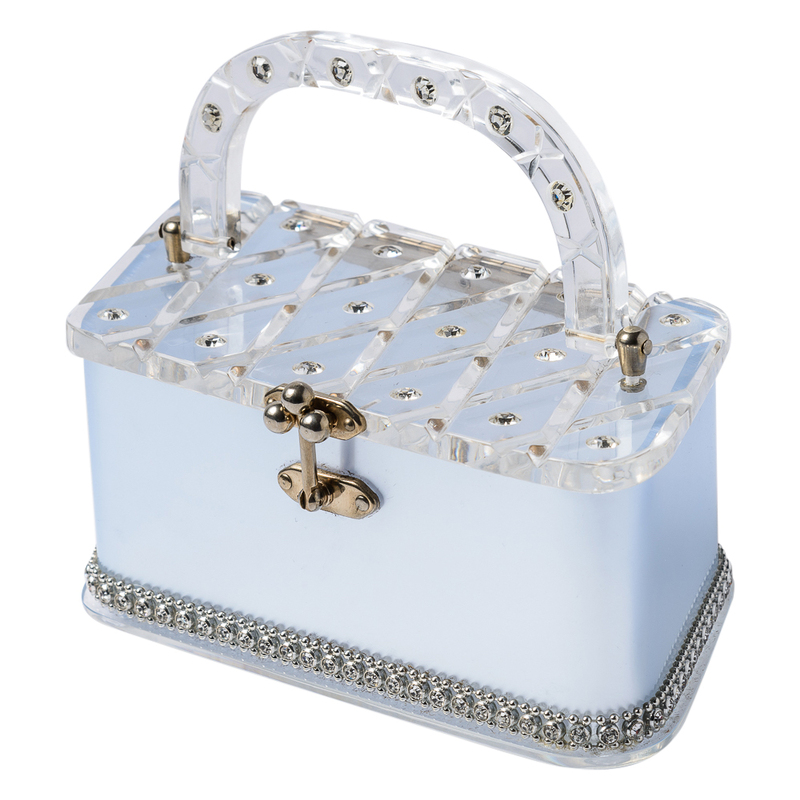 The top lid and handle are clear lucite with cross hatching design with single rhinestones. The base edge are lined with rhinestones, and the bottom is clear lucite. The bag measures 7 1/2 inches long, 3 3/4 inches wide, 2 1/2 inches deep and with handle 5 1/2 inches tall.